between block and object storage on AWS or Azure. 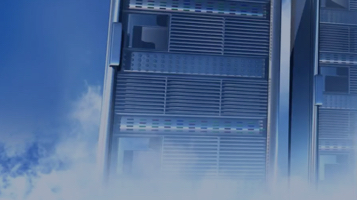 Cloud Volumes ONTAP’s automated storage tiering feature lets you cut costs for data that isn’t immediately in use. Instead of keeping snapshots, disaster recovery environments, and infrequently-used active data on performant block storage, data tiering allows users to store such data in a capacity tier on inexpensive block storage on Amazon S3 or Azure Blob. 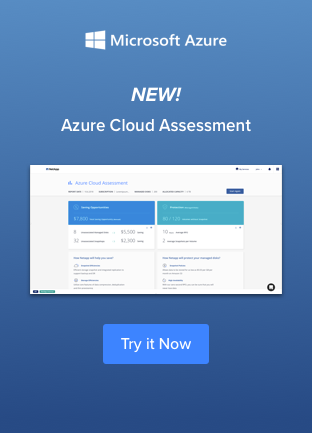 When the data is needed, Cloud Volumes ONTAP seamlessly and automatically retrieves the data and sends it back to the performance tier on Amazon EBS or Azure disks. Keeps Kubernetes persistent volumes cost-effective. When storing data in the cloud, tiering allows users to optimize different storage types, moving the data between tiers for specific benefits, whether it’s faster performance or optimized costs. 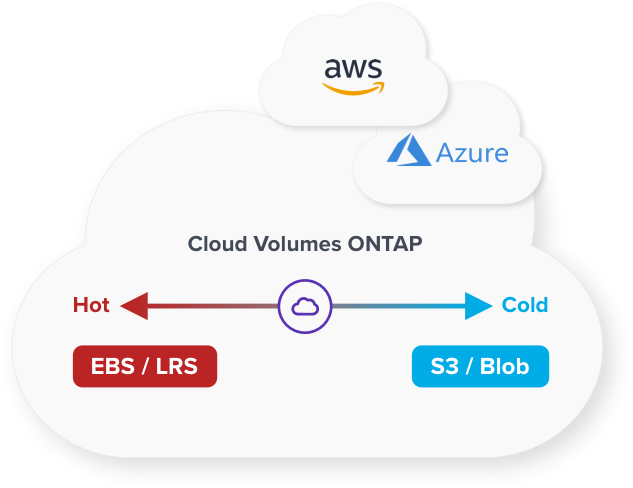 While there are native options for tiering data in the public cloud, Cloud Volumes ONTAP allows users to automatically and seamlessly tier between object and block storage, which optimizes costs. 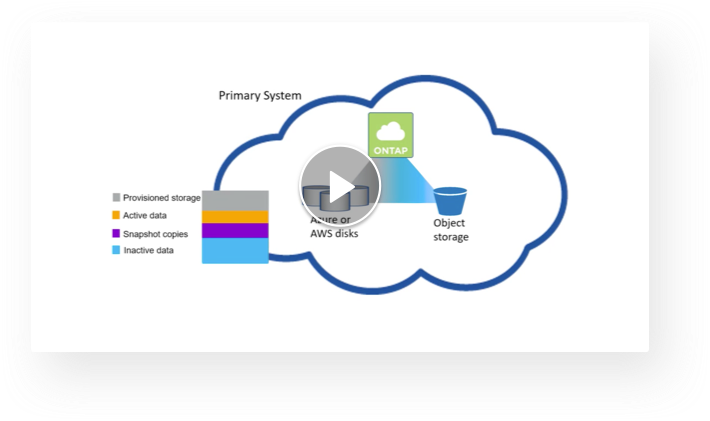 Watch Cloud Volumes ONTAP storage tiering at work, automatically tiering cold data between performance and capacity tiers and learn how that can improve AWS storage costs and Azure storage costs. Tiers snapshot data to cost-effective Amazon S3 or Azure Blob storage after a short cooling period, freeing up Amazon EBS or Azure disk space. Creates an entire DR copy and store it automatically in object storage for backup and disaster recovery. Automatically move the copy up to the performance tier on block storage in case of a DR scenario. Any active data that has not been accessed for 30 days, or a user-defined period of time, will be sent to the capacity tier until it is needed. By default, Cloud Volumes ONTAP tier data to Amazon S3 Standard on AWS and to the Hot Access tier on Azure Blob. 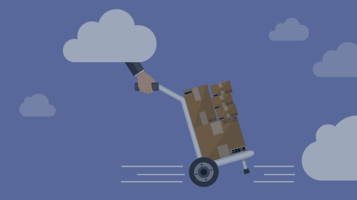 To save even more on storage, data can be tiered to the Cool Access tier on Azure Blob or the Standard-Infrequent Access (Standard-IA) and One Zone-Infrequent Access Amazon S3 storage tiers. Note that data access rates and protection levels will vary at lower-cost storage tiers. Want to learn more about Data Tiering?